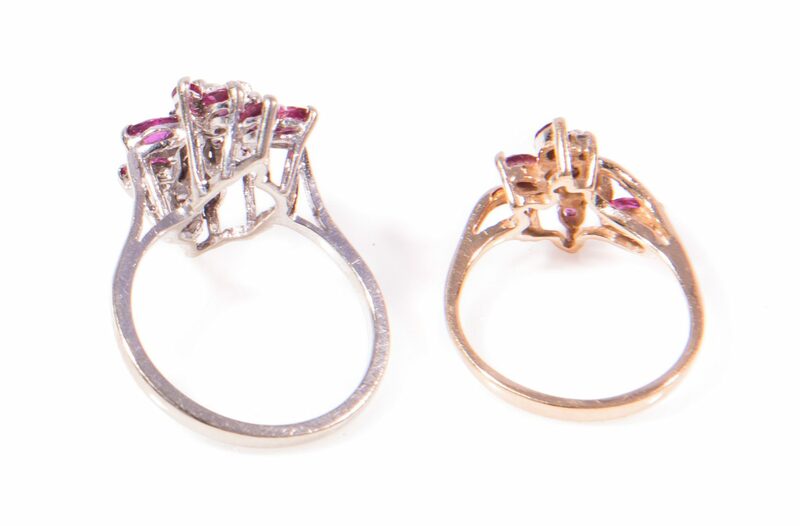 1st group: Two 14K gold rings, one white gold, other yellow gold, both with rubies and diamonds, 5.4 grams total weight. 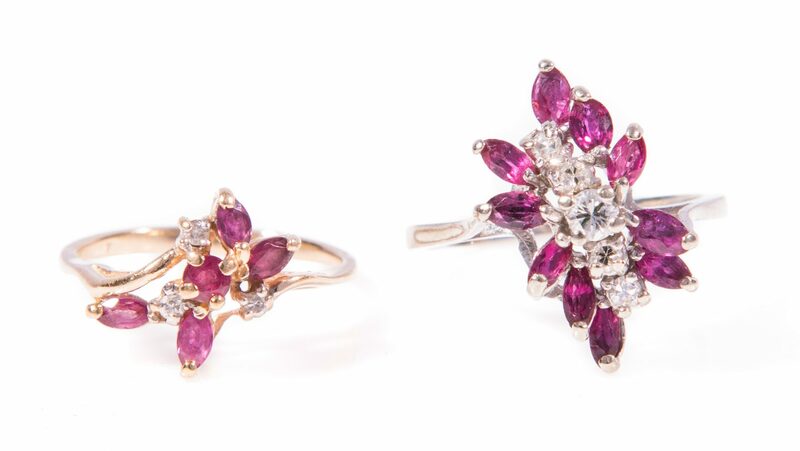 2nd group: Three 10K yellow gold rings in various styles with diamonds and/or single marquise ruby, 9.3 grams total weight. Ring sizes range from 4-3/4 to 6-3/4. CONDITION: Mountings in good condition. Most diamonds are SI2 or Imperfect and a few have minor chips.